For the best results from your morning skin care routine, it’s important that you choose the best products for your skin type, use them in the right order, and apply them correctly. Doing so every morning will give you maximum benefit throughout the day while your skin is subjected to pollution, harmful UV rays given and other environmental stressors. 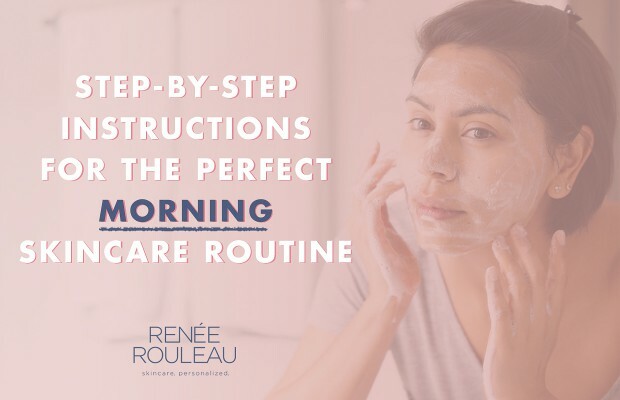 In this post, you’ll learn the exact order you should be applying your products for the perfect morning skin care routine. I’ve also included some helpful tips and frequently asked questions to take out any confusion you might have had—once and for all. First, let’s go into some best practices for your morning skin care routine. You always want to perform your routine quickly. Especially after cleansing, you have a one minute window to get your toner on before water evaporation occurs. When using an acne spot treatment in the morning, it’s best to use ones that are formulated to be compatible with makeup. You want to avoid ones that pill or ball. Many sunscreens used during the day can pill or ball when a liquid foundation is applied after. You’ll have to find one that doesn’t make this happen. This sunscreen won’t do that. Facial oils are not ideal to use in the morning to avoid interfering with the daytime protection you need from your sunscreen. Skin oils in their pure form may dissolve your sunscreen throughout the day, similar to the way that your skin’s own natural oils can. Always choose products for your morning skin care routine that are made for your skin type. I believe there are nine different types of skin. Did you know that your skin function changes from morning to night? What’s the right order to apply my skin care products in the morning? Cleansing is a key step for the performance of your daytime products and you don’t want to get this step wrong. I have nothing on my skin in the morning. Do I really need to wash it? Yes! In order for your daytime products to work most efficiently, especially sunscreen which is the #1 best preventative aging product on the planet, you must have a clean slate, and you’ll only get this from cleansing your skin. You’re removing sebum (oil) that your skin secreted while you slept, along with your nighttime skin care products that may contain ingredients not suitable for the day, such as exfoliating acids and retinol. Also, if you’re a hand cream user, you might have slept with your hands on your face which could transfer some oils. These all need to be cleansed away from the skin to avoid any reactions or potential irritation. In the morning, I recommend using a gentle, sulfate-free foaming cleanser as they use surfactants that can cut through oils without leaving the skin feeling tight or dry. Recommended cleanser: Moisture Protecting Cleanser is a great one to use in your morning skin care routine. Or, choose one for your skin type from this collection of gentle cleansers. Immediately go to your next step. Don’t wait. Work fast. Toners are misunderstood, but they are very important to use and do serve many beneficial purposes for your skin. When left damp on the skin, they give your skin a drink of moisture before applying serum or moisturizer. Removes drying chlorine and minerals found in tap water. Balances the PH of the skin. Enhances the deliverability of your serum when used in the morning and at night. Apply all over the face using a thin toning cloth to avoid wasting product, and leave damp. Immediately go to your next step. Recommended toner: Choose one for your skin type from this collection of alcohol-free toners. The next order for applying your skin care products in the morning is to use an antioxidant serum. All experts agree that using a well-formulated vitamin C serum is the most effective way to protect your skin cells from environmental damage caused by UV daylight, pollution, and debris. Apply a dime size amount and spread over entire face and neck. Since your skin is damp from your toner, this should make for easy spreadability. Let serum absorb for 60 seconds before applying moisturizer. What kind of vitamin C serum is best? When it comes to choosing a vitamin C serum, formulations will vary greatly. While the most bio-available (fastest-acting form) is water-soluble L-Ascorbic acid, it is highly unstable and oxidizes quickly. This is why when you first buy a bottle it’s clear in color and after a while, it turns to a shade of copper. As it passes through the epidermis, the activity is quickly reduced. L-Ascorbic acid can also be irritating if your skin is sensitive, especially if you’re using retinol or prescription retinoids. I am not a big fan of this type because you have to put a really high percentage of it in the product and then cross your fingers that some of it ends up working on the skin—without causing irritation. I prefer esters of vitamin C, which are oil-soluble forms (no worries, that doesn’t mean they are pore clogging), and liposomal delivery systems. Oil-soluble forms of vitamin C are generally retained longer in the epidermal layers providing prolonged benefits while staying stable and not causing sensitivity. These types are what I have chosen to use in my vitamin C serum. You can see visual proof that it works. Next up with your morning skin care routine is sunscreen. This is the most important part of your daytime routine and a step that creates confusion for many people. 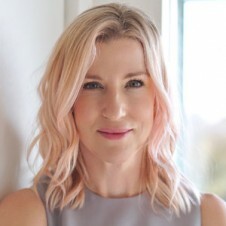 Most sunscreens (which are FDA-approved drugs) are formulated with the same type of ingredients as moisturizers by using emollients, occlusives, and humectants. This is why a sunscreen feels like a moisturizer consistency when applied to the skin. Due to the requirements, you’ll read things on the bottle like “Apply 15 minutes before sun exposure. Reapply after 40 minutes of swimming or sweating. Repeat every two hours.” I believe this type of language leads people to not think of it as a daily moisturizer but a separate product from their moisturizer. As long as you’re using a sunscreen formula that feels like it’s giving the right amount of moisture you need, and you can tolerate the scent (some smell very sunscreen-y), it can be used every day. Granted, some do pill up and aren’t so compatible with liquid foundation. 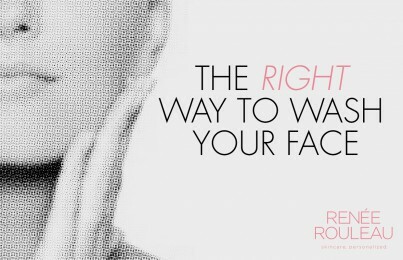 You just have to find the best one that works for you and that you’ll commit to using as part of your morning skincare routine. There are more than enough rich ones out there that can feel good on dry skin. Less so, are ones for skin prone to clogged pores. Our best-selling sunscreen/moisturizer is Daily Protection SPF 30. If you’re wanting one that feels lightweight and doesn’t clog the pores, THIS IS IT. Bonus: it won’t pill under makeup like so many do! We don’t make a heavier formula so if this one is too light, find one that gives you the thickness you prefer. Where people go wrong is by using an additional non-sunscreen moisturizer or a facial oil under or over sunscreen. This may very well be interfering with the effectiveness of your sun protection. Oils used in their pure form, or when used in a regular moisturizer, could be dissolving and breaking down your sunscreen without you realizing it. As mentioned above, sunscreens will give moisture so you need to find one that gives you the amount you need while keeping your focus on not getting in the way of performing its job. You don’t want to mess with the efficacy of your sunscreen, so I prefer to think of them as a 2-in-1 type of product. Trust me, it’s a lot easier and less expensive to prevent lines, wrinkles and brown spots then it is to get rid of them once they appear. Physical or Chemical: What kind of sunscreen is best? I believe one that uses both physical and chemical blockers are giving the best of both worlds by providing skin protection inside and out. Oxybenzone is a common chemical sunscreen that is deemed “harmful” by some. However, most everyone agrees that more studies are needed before that conclusion can be drawn. For chemical sunscreens, I generally avoid using it and prefer octinoxate instead. Read the differences between chemical and physical sunscreens. What if I’ll be outdoors exercising and sweating? Read these sweat-proof sunscreen tricks. The reason why I say this is optional is that some eye creams use rich oils and can feel greasy. If you’re a makeup wearer, this could cause mascara on your lower lashes to bleed onto the skin. A better choice is to use a lightweight cream or gel in the morning which will wear better during the day. I personally don’t use eye cream in the morning because I like my sunscreen to cover the under eye area. Instead, I’ll dab on Vitamin C Eye Brightener when I first wake up to give a brightening effect. Then, I’ll just wash it off when I shower. The 30 minutes I’ve had it on allowed it to refresh my eyes. If you want to use an eye cream, find a concealer or powder that has physical sunscreen ingredients (titanium dioxide or zinc oxide) and apply that over the eye product. When using a physical sunscreen, always use as the last step. There is confusion about the order in which to apply a blemish spot treatment during your morning skin care routine. If you apply it before your sunscreen moisturizer, even if you let it dry, your moisturizer will re-wet it and break it down. This causes it to lose its effectiveness since it has now smeared all over the face where blemishes aren’t present. Here is how I recommend you use it in the morning to get the best benefit. Using a damp cotton swab or tissue, wipe the blemish or broken out area to remove the skincare products that were just applied. Apply the acne spot treatment and let it dry. Lightly pat (don’t rub) a tiny amount of sunscreen back over the affected area. Proceed with concealer over the blemish, if you choose to wear it. Ideally, your concealer would have sun protection in it. A mineral-based one is the best. Recommended morning acne spot treatments: Daytime Blemish Gel provides a smoothing barrier to calm the inflammation while preventing makeup and environmental irritants from aggravating the breakout. If your blemish is a cystic one, you can dab on Anti Cyst Treatment underneath Daytime Blemish Gel, but be sure to let each step dry thoroughly. Read how to get rid of a blemish FAST. I believe that some sort of liquid foundation makeup or powder should be used on the face every single day. People think they occasionally give their skin a break from wearing makeup, and I think this is wrong. Makeup plays an important supporting role in your morning skin care routine. Read why here. 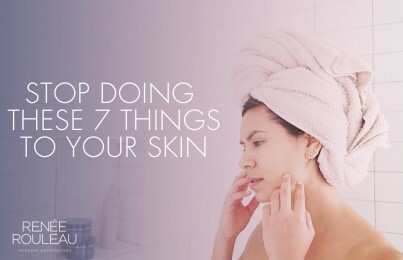 However, when it comes to makeup, make sure you stop doing these 12 things to your skin. You’ve always heard that you should reapply sunscreen every two hours, right? Well, that holds true more so if you’re actually outside in direct contact with the sun. If it’s a normal weekday and you’re mostly inside, then the two-hour rule is not necessary. Instead, use a mineral-based, SPF-infused powder and lightly dust your skin at least once during daylight hours. Oilier skin like skin types #1, #2, #3 and #4 should probably repeat this one extra time during the day since oil degrades sunscreen activity. ColoreScience makes a nice one but is limited in shades, so it’s not going to match every skin tone. Look for a powder that uses the ingredients titanium dioxide or zinc oxide. Even if it doesn’t indicate an SPF number, it just means the brand chose not to get it FDA-approved as a sunscreen. However, titanium dioxide and zinc oxide will provide protection from the harmful daylight rays given off by the sun. I have a prescription for a topical acne medication. When would I use that in my routine? Consult with your doctor as to what order you might apply it during your morning skin care routine. However, many of them can be used in your night routine during step #7 as listed here. You would wipe away the area that you want to use it and apply it as your last step. Again, your main focus during the day is all about protecting your skin from UV light. What is your opinion on layering serums? I believe that rotating serums on different nights instead of layering them will give you the best results. This is because the skin can only absorb so much, and you might be wasting money if a product can’t deliver its full potential. Do skin care products stop working after a while? Should I change up my morning skin care routine? No, and it depends. Read more about changing your products when needed. In summary, if you perform your daily routine in the right order and using products for your skin type, you’ll get the very best results for your skin. 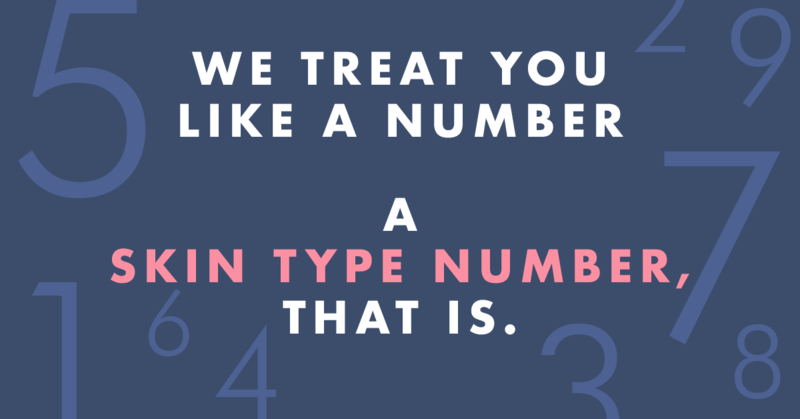 You are one of these nine skin types and you can take this Skin Type Quiz to find out which one. You can also schedule a consultation with an esthetician if you’re needing additional guidance. What should my routine be like at night? Read my step-by-step instructions for the perfect nighttime routine.